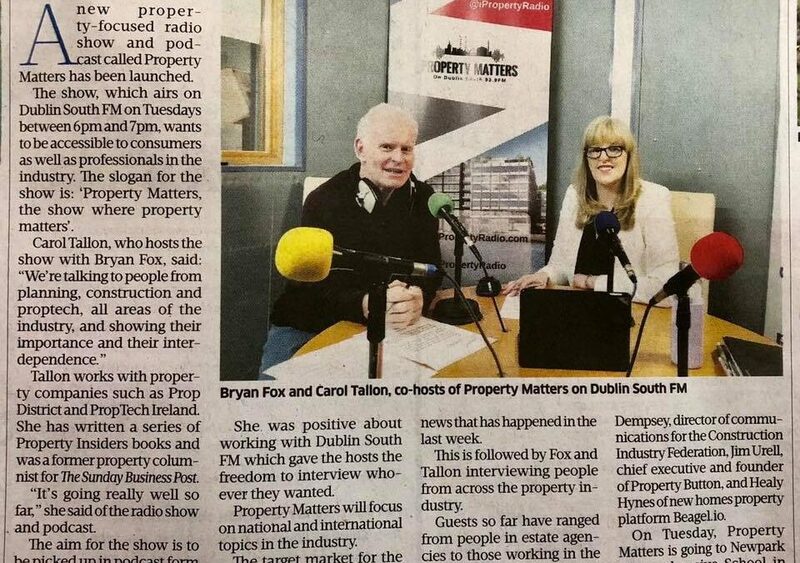 Property Matters, co-hosted by Carol Tallon and Bryan Fox, is a weekly, 60-minute radio show that airs on Dublin South FM every Tuesday, 6-7pm. We cover all aspects of innovation within the planning, construction, property and proptech industries. We have 3-5 guests in studio each week to share their insights and challenge our understanding of the current system.